I received a book about Bond in the mail yesterday. "The Devil With James Bond!" was written by Ann S. Boyd in 1967 and the paperback edition was published by Fontana Books. It's a study about James Bond and Ian Fleming. I've known about this book for ages and seen images of the cover all over the web but had never seen a physical copy before. So when the opportunity arose and the price was right I finally purchased a copy. I really like the cover too. I mentioned during our recent "world tour" that I purchased, or was given (thanks again Darren), a few Bond books while overseas. All three Gardners in the photo below were found at Russell Books in Victoria, Canada. The "Licence Renewed" is the copy I mentioned that has a darker brown cover than normal and the gold tint is missing. I also purchased a couple of Woods that are better copies than I already had and a "Live And Let Die" movie tie-in with a spine that hasn't faded which is quite unusual. The three French titles above were purchased in Paris, one from a book stall beside the Seine and two from L'amour Du Noir bookstore. I know it's pretty common but I really like this edition of "Dr No". The copy of "Carte Blanche" below was purchased at a thrift store in Vancouver, Canada. 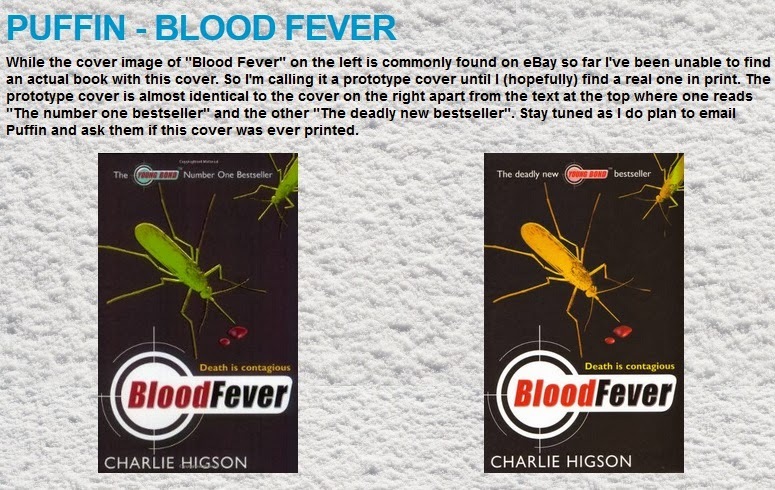 The US copy of "Blood Fever" was purchased at The Mysterious Bookshop in New York. The final three books (the two "Casino Royale"s and the UK "Blood Fever") were given to me by Darren in the UK. So in total I brought back 15 books of which 5 (possibly 6) editions I didn't already have. 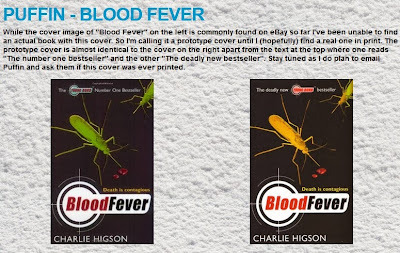 The most notable of these is the UK "Blood Fever" that says "The Number One Bestseller" at the top of the cover. I had previously believed this cover only existed as a prototype but Darren proved me wrong. Here's the text I had previously added to PizGloria.com about this cover that I will soon be removing. Finally a blog set in Australia ! I purchased a large paperback version of William Boyd's "Solo" last week. The book is now available in all book stores here. I'll be scanning the cover and adding it to the website shortly, but here's some snaps. And finally the book I purchased. I believe a similar sized large paperback has also been released in the US too. Great to see a new Bond on the shelves. The United Arab Emirates was the last country my wife and I visited on our recent "world tour". As Qantas is linked to Emirates Airlines, Dubai is a stop-over on the flight from London to Australia. So my wife and I took full advantage of the opportunity and stayed two nights in this amazing city. 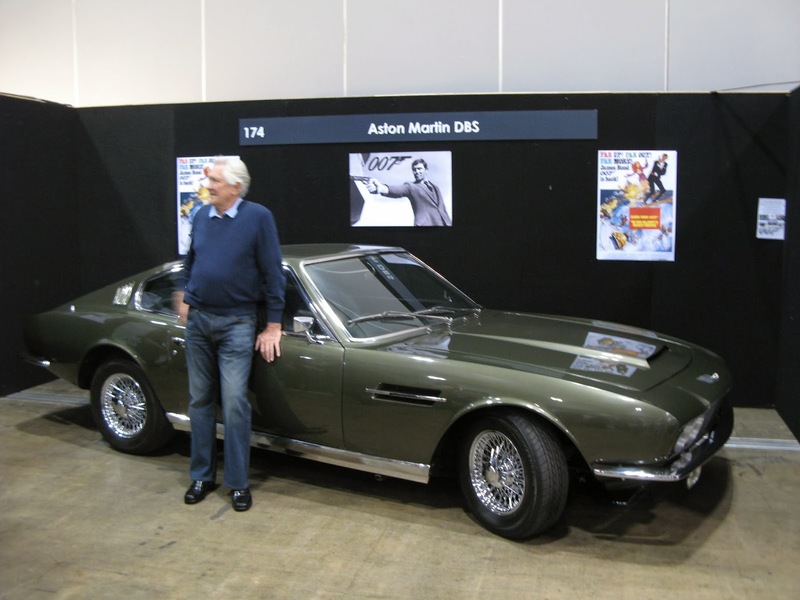 I've got to admit, my wife and I didn't really spend much time searching for Bond books. The beach and sun were constantly calling. We did visit the Dubai Mall which we were told is the largest shopping centre in the world* but didn't find any book stores there (not that they didn't exist, we just didn't look too hard). I did check out the hotel library where we stayed but no luck there either. The PizGloria.com website came up in Arabic though on one hotel computer which I thought was amusing. * I've just checked Google and apparently the Dubai Mall is only technically the largest shopping centre in the world. However there's no doubt the Burj Khalifa, built on top of this shopping centre and at 829.8 metres tall, is definitely the tallest building in the world. I've got to say, even in my own photos the Burj Khalifa doesn't look real. I can guarantee you it is real, and the view from the observation deck at just over half way up is amazing. And another view from our balcony at night, this time of Palm Island. Top left is Atlantis Hotel which can be seen in close up in the next photo. A closer look at Atlantis Hotel which we visited while on a Hop-On/Hop-Off Tour. It's incredible to think the whole of Palm Island is man-made. It's covered in hotels and other accommodation. On the Hop-On/Hop-Off Tour the lower deck of the bus was air conditioned but the upper deck was open to the sun except for a canvas cover. The temperature while we were there was a constant 39C during the day, and at night the temp never fell below 33C. It was pretty hot ! The elevated train network above the modern freeways. I'm told the driverless trains were spotlessly clean and very safe. And finally Burj Al Arab. Too expensive for us to visit though ! Just over three weeks ago my wife and I were in the UK still on the second last leg of our "world tour". On a drizzling Saturday morning I travelled on the underground to London where I had organised to meet a guy named Darren, whom I'd never met before. 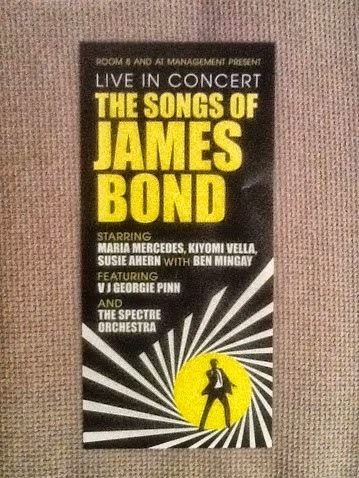 Darren also collects Bond books and we became friends after he found my PizGloria.com website and contacted me. When I told him I was travelling to the UK he said we could catch up and show me some London book stores. I agreed so we organised to meet at the Bond literature specialists Harrington Books. Almost as soon as I entered Harringtons a staff member greeted me and for a moment I thought it could be Darren as I didn't even know what he looked like. When I realised it wasn't I explained "I'm fine thanks. I'm just here to meet a friend". I made my way to the fiction section and found the Fleming books which can be seen below. A very impressive collection for sale. I then walked toward the back of the store, passing a wall featuring a Thunderball poster and some autographed Bond photos. At the back of the store there was a glass cabinet in which heaps of rarer Bond books were on display. Photos can be seen below (sorry about the reflection). Another staff member greeted me. He introduced himself as Jon. I asked "Jon Gilbert?" and he answered "Yes". 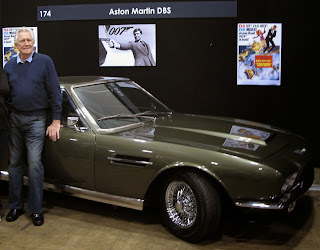 Jon is the author of "Ian Fleming: The Bibliography" and is also heavily involved in James Bond First Editions which is affiliated with Harrington Books. When I first asked if I could take some photos and then mentioned I was waiting for Darren, he said "I know Darren. He's a regular here". I noticed a display copy of "Ian Fleming: The Bibliography" and asked some questions about it. Suddenly Jon was guiding me through his massive reference book, showing me images of rare covers, explaining how a certain cover had just made it in for inclusion and discussing some of the unusual covers he'd encountered. I felt very fortunate to have such an introduction to the book and I knew I had to buy it. It was about this time that Darren arrived. We greeted each other and he was quickly emptying his bag and handing me three paperback books. "You can have them for free." he said "Just buy me a coffee later". Thanks a heap Darren. And if this wasn't enough, suddenly Jon took us into another room to show us his own Bond collection. Talk about impressive. When comparing it to my own collection I certainly felt humbled. And I have never handled such rare books before. I did happen to take some photos too, and hopefully these will be displayed on the Collectors Corner page of my website soon. 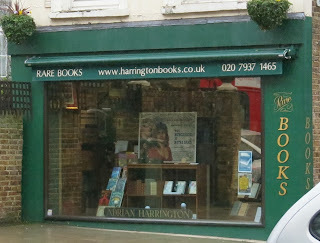 When we finally left Harringtons after about 2 hours, Darren and I then caught a double-decker to Hatchards, the oldest book store in the UK. Here we asked about the imminent release of William Boyd's "Solo" and whether they were organising any promotion for the book. "No" was the reply, although they did have a special-edition hard back listed on the computer. We made our way to the fiction section but couldn't find any Fleming novels. We did manage to find a copy of the last Deaver Bond release with a favourite cover of mine. We then walked to Waterstones just up the street where I was hopeful there would be a window display for "Solo". Unfortunately there were renovations being made to the front of the store and there was no window display. In fact the front window was barely visible behind the scaffolding. Inside we found Vintage Books editions of the Fleming Bond novels as well as Orion editions of the Gardners. There were also many Higson "Young Bonds". Almost immediately after exiting Waterstones I had to leave Darren to catch up with my wife and Aunt who were waiting for me near Harrods. And just as I was walking down the stairs at Piccadilly Station, having said goodbye, I realised I hadn't bought the coffee I'd promised him. Sorry Darren, I definitely owe you a coffee next time ! And what a great morning of Bond books too.